Merely having social media accounts and having an 'expert' running them isn't enough. In fact, it is actually detrimental to your business to have someone who is anything less than exceptional running your social media and content marketing strategy and daily management. We at Global Yodel Media Group are constantly amazed about how much money, time and brand equity are wasted by brands large and small because their social media program is failing. Your social media channels are the front line of your business. They are the access point to who you are and what you do and often your chance to make a first impression. Make sure you put your best foot forward. We have compiled 9 reasons your brand is failing at social media. We've also included 9 actionable ways to fix those problems. 1. Your Social Media Manager Isn't Competent: There are a lot of self-proclaimed social media experts, social media ninjas, social media agencies, social media consultants and professionals out there. While some are doing a great job, most aren't. Again and again we see social media managers of brands big and small in a lead strategist position that are doing it wrong. A quick and easy way to determine if your social media manager is competent is to review the social media accounts of brands they have managed in the past. Another (and probably our favorite) way to measure their ability is to scope their personal accounts. Do they have only a couple hundred followers? Are their posts exciting? Do people engage with their content? Do they have a unique voice? If the answer to any of these is no, there is a good chance they don't have a tight personal social media strategy, which probably means they aren't providing your brand with a tight social media strategy. The fix: Find a social media manager who walks the walk (either on their own channels or the channels they have managed in the past). Or, at the very least, find a digital/social strategist who can coach them and tighten up their game. 2. You Are Thinking About it Wrong: Social media is often conflated as something more than it actually is. Brands and people overcomplicate the subject to seem like a complex algorithm that is a riddle to figure out when it is really very simple. It can be confusing; we understand that. In actuality social media is simply communication - thats it! It's a form of communication that almost everyone has access to. The way to most effectively think about your social media program is to start by thinking about who you want to communicate with, why and how. From there it's just the nuts and bolts. For example, if you are a travel brand who caters to budget millennial backpackers you aren't going to want to post about traveling internationally first class, staying in luxury hotels and eating Michelin star restaurants. It just wouldn't be effective communication to your target audience. The fix: Think about who your brand wants to reach and why. Create five profiles of different mock individuals who represent your target clients. Try to generate different personas that characterize your customers. When you write content or create a post make sure it appeals to at least one of your customer profiles. This will keep your brand's voice relevant. This will not only engage the followers you currently have, but also help you build more followers and a stronger online community. Every time you create content or prepare a post, make sure it is effective at communicating to one of your mock personas. 3. You Are Using Social Media As A Primary Sales Tool: A problem we see time and time again is that people are using (or attempting to use) social media as a primary sales channel. Imagine you met someone at a casual gathering, a friend of a friend, with whom you had a ton of common interests. You thought she or he would be the perfect customer for your business. Would you call them up for the first time and pitch them on your product and service right out of the gate? That wouldn't be tactful or effective. Social media is quite the same: it's a way to build your online community, not a market place. It's much better used for communication than sales. The fix: Use social media to sell products or services no more than 10% of the time. Preferably much less. There are much more effective sales and marketing tools out there. Make sure your social media platforms are being used primarily for communication, not sales. 5. You Don't Understand The Channels: You wouldn't go to France and start yelling at a local barista to make you a coffee in English would you? You wouldn't go to a business meeting in Japan and give your presentation to a room full of Japanese speakers in English would you? Similarly to these scenarios social media programs have their own languages and your content should be appropriate for each setting. Make sure you understand how to correctly use each social media platform and the particular style of each. Twitter is great for short snip-its of information and tweets are best executed when snappy, concise and well written. Instagram is of course a visual tool so make sure your visuals stand out above the rest. Pinterest is great for curating collections of visuals. It is important to understand the different social media platforms and their differing 'languages'. The fix: Learn the specific nuances of each channel so you know how to effectively communicate from each. Spend some time reviewing popular and intriguing accounts of the brands and individuals you admire. Learn how they are effectively using their channels and how they utilize and modify their content to the nuances of each. As with studying any language, eventually you will start to be able to understand it and speak it. 6. 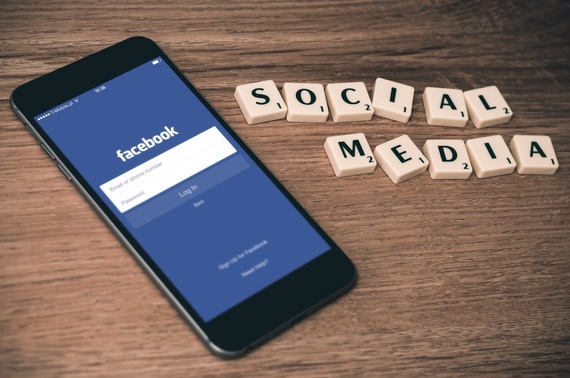 Your Social Media Manager Doesn't Understand Your Business: Make sure your social media manager understands your business and has expertise in you business category. If you are in the business of vintage sports memorabilia, chances are your college social media intern isn't going to be an expert in that space. If you run a fitness gym, but your social media agency has someone managing your account who doesn't exercise, chances are that your brand voice will lack the passion for physical fitness that you need to express to your community. This is your front line of communication, make sure your manager talks the talk and deeply understands your business. The fix: Coach your social media manager on the key audience traits and key aspects of your business. Provide them with a general outline of how you would like them to communicate on your brand's behalf. Make a list of what traits you would like your brand's voice to have for your social media manager to work from. 7. You Value Quantity Over Quality: There are certain posting times and optimal numbers that you should probably hit each day. But that is for another article. Instead of focusing on posting to Facebook, Tweeting and Instagramming five times a day, seven times per week, slow down and make sure every post you put out is awesome. Quality is much more important than quantity. So don't let your content suffer because you are trying to keep up with post numbers. The fix: Be sure that the volume of posts in your social media strategy isn't making the quality suffer. Good content is much more important than the amount of posts. 8. You Aren't Adding Enough Value: Instead of buying ads to promote content, create irresistible content that gets liked, shared and engaged with on its own. Make sure every Tweet, post and picture you put out there adds value. There is a time and a place for paid advertising. It can be a very effective strategy but to do it effectively there is a lot of trial and error to find a formula that works (if there is one at all). This trial and error is expensive. Instead of rushing to buy social media ads to boost your posts, consider adding value in each and every post and piece of content you put out so it gets shared organically. What do we mean by adding value? If you are going to buy a new camera what do you do? Research! You read reviews, blog posts and talk to friends who are photographers. You aren't going to click on a banner ad or self-promoting Tweet from a camera brand and say "cool, I'll buy this now." Really, when was the last time you clicked on a banner ad? So, to add value the savvy camera content manager would create a compelling article about the 10 Reasons This is the Best Camera for the Price. Publish it on your blog and share it on your social media channels or convince a tech blogger to let you guest post. The fix: Put yourself in your followers' shoes, make sure each post you publish adds value. If it doesn't add value don't publish it.